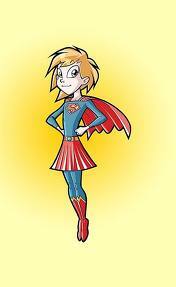 I call my kid "Supergirl" as she has some Super traits that teach me Super Lessons! Sometimes, I wonder whether the roles have reversed; as it is she, who has the best suggestions and solutions, making my task really simple! However, she calls me "Supermom!" I justify it by saying that the mom of a Supergirl has to be a Supermom! I had reached home from a tiring day at work. Suffering from hunger-pangs, I decided to snack on a fruit. 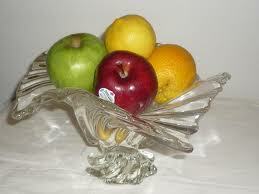 Then, I couldn't fail but notice that the fruits had been kept in a steel bowl instead of my favourite crystal bowl on the Dining-Table. I looked for the bowl in the kitchen and elsewhere. Not finding any trace of it, I asked my kid about it. Supergirl said, "Mamma, I'm so sorry. I broke it due to my carelessness. My ball crashed it because I did not listen to your warning and played bat and ball inside our home. Please forgive me. I'll never repeat this..." She hugged me with tears in her eyes. I could see that she was truly repentant. Though I felt terrible about the bowl, I felt nice about my kid's honesty and that she had the guts to own up. Supergirls have nerves of steel! As I believe in the saying- "Don't cry over spilt milk", I added another rule- "Don't shout at your kid for broken bowls or things!" It's all a part of growing up and bettering our superpowers! Honesty is the key! Another day, when I returned from office, Supergirl showed me her nails. "Mamma, Teacher has asked us to always keep our nails short, trimmed and well-maintained. As I wanted your workload to be less, I used my teeth to trim them!" I was so surprised that my KG-kid was so concerned about my time and effort! I explained to her that using the mouth instead of the nail-cutter isn't a very hygienic idea and that I always have time for her. She must never feel otherwise and is most welcome to share or ask anything to me that's bothering her at anytime she pleases. Parents are there for that purpose! Now she is "grown-up" enough to demand me the heavy shopping-bag so that she can literally take a load off my shoulders! Today, she was tugging at the bag I was carrying and asked me to hand it over to her so that she could help me! My concern- the weight of the bag was probably half her weight! Have you noticed how even "grown-ups" don't have the courtesy or the will to "help"? But, my Supergirl is super-sweet and "ready to help"! How can I not mention the glasses of Glucose my kid has personally served me each time she gauged I wasn't feeling well! That too without me having asked! Also, my Supergirl's Jadoo Ki Jhappi (Magical Hugs) have conjured their instant magic to make me feel "All is Well"! There are many things that she does for me...I feel guilty that I have not done the same for my mom. My kid has always liked to share, even her chocolates! In my mind, I can't help but compare my kid's behaviour vis-a-vis her cousins and other kids who wouldn't dream of doing this. They won't even part with a single chocolate even after their parent's umpteen requests! It's heart-warming to see my kid giving away personal items to all. Today, she gave a whole packet of Chips to our maid, for her kids to enjoy for the weekend! She gifts away her gifts regularly! My Papa says, "God gives more gifts, to people who gift, so that they can gift more!" Glad she has a Passion for Kindness & Compassion! We visited my parent's place during her vacations. One night, all the bedrooms were occupied. My Papa decided that he would sleep in the living-room. There was a thick and heavy cotton mattress in one of the bed-rooms that he was to use. No sooner did we finish our dinner, Supergirl was found busy at work! Without any one's instructions, she dragged that mattress from the bedroom to the living-room with all the strength of a six-year-old! I rushed to help, but she had almost carried the task out entirely on her own! What's more, she even set up the bed-sheet professionally- just like she had observed in her resort/hotel-stays! My Papa felt really touched at the little Supergirl's effort to make his sleep comfortable and memorable! She had exhibited her way of showing respect to her grandparent.When you Respect someone, it shows! A couple of days ago, I had prepared her favorite snacks. I called her to enjoy the same. Supergirl came a good forty minutes late to set eyes on her plate! When I asked her the reason, she told me that she had promised herself not to get up till she had completed her home-work! Now that her task was complete, she had every right to celebrate! I believe, "Actions speak louder than words". To maintain Integrity, one has to be true to one's own self- thoughts and actions. Supergirl is doing a good job! You have a lovely daughter.I loved the child's honesty in telling the truth about the broken fruit bowl and not beating around the bushes. Thankyou so much. We do teach our kids to be honest. It feels wonderful when they follow great values. Truly proud! Trying to live up to the Supermom title bestowed by my Supergirl! What a wonderful girl you have! God bless her! Lovely to get your feedback and blessings for her. God Bless! 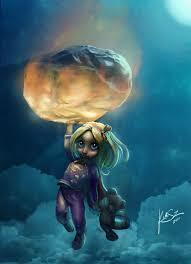 She will be a super woman in future. Kudos to you for instilling good values.